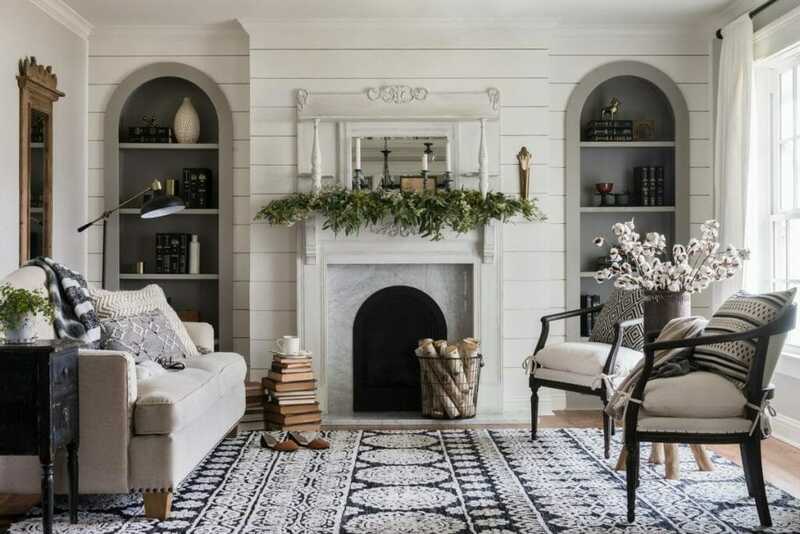 A full-blown obsession across the country, Joanna Gaines modern farmhouse style is quickly becoming one of the most popular looks that dwellers and interior designers aspire to. 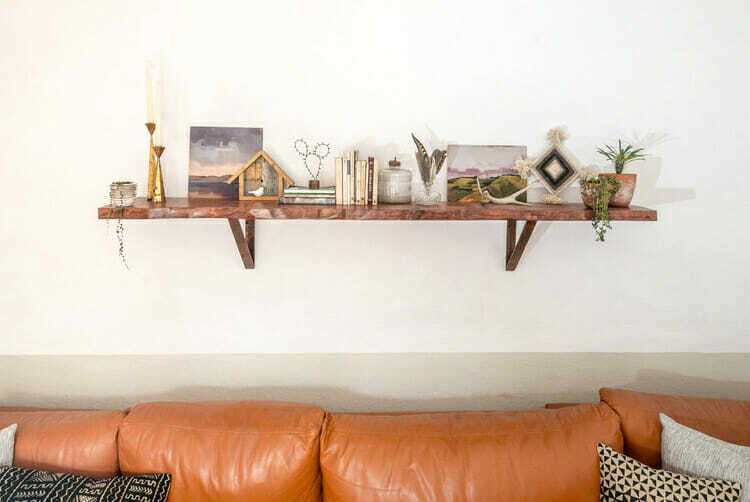 The Decorilla Design team is lucky enough to work with top rustic style interior designers from around the country, but we also love to discover the ones to watch! Interior designer sensation, Joanna Gaines is certainly a favorite. 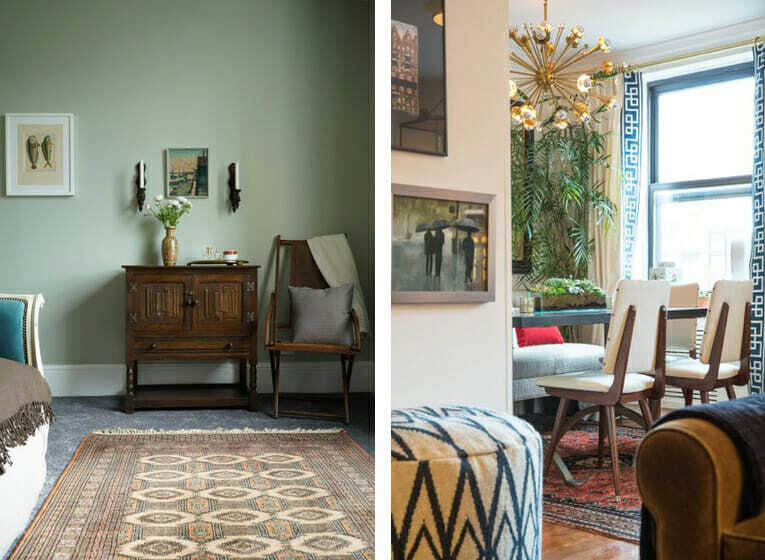 Her ability to achieve a timeless feel to all spaces by highlighting their beautiful details and adding unique vintage pieces she finds is truly amazing. Her use of texture, wood, plants and rugs consistently appeals. Wanting your home to look like Joanna’s renovated houses? 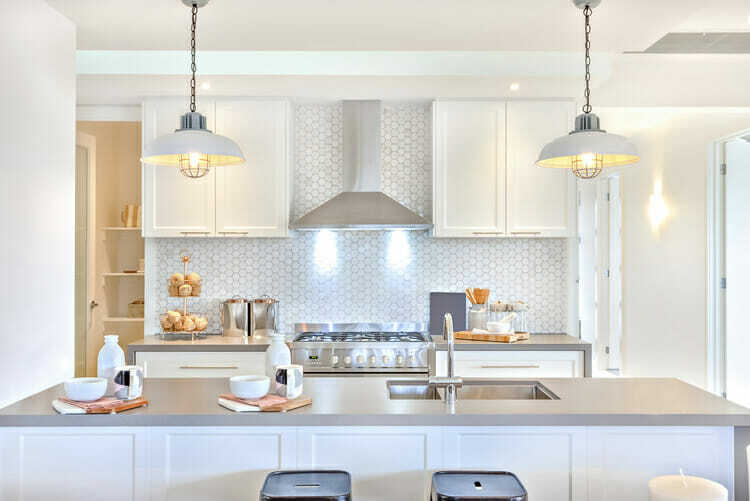 Here’s our list of the top 7 interior designers with style like Joanna Gaines to inspire you and help you decorate your dream modern farmhouse. Design by Decorilla Designer, Peti L.
Design by Decorilla Designer, Angela S.
Joanna Gaines is host of HGTV’s Fixer Upper. 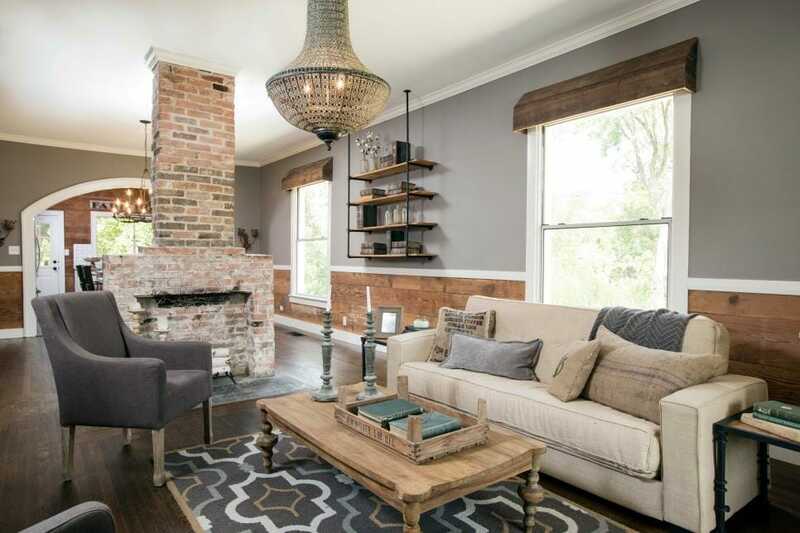 Along with her husband and co-host Chip Gaines, they make complete makeovers of old houses in Joanna’s home town Waco, Texas. After meeting Chip, they added a business partnership to their marriage and started working on renovation projects. Sharing dreams and ideas, they took advantage of Chip’s skills around development and investments and her great eye for design, creating a powerful duo. 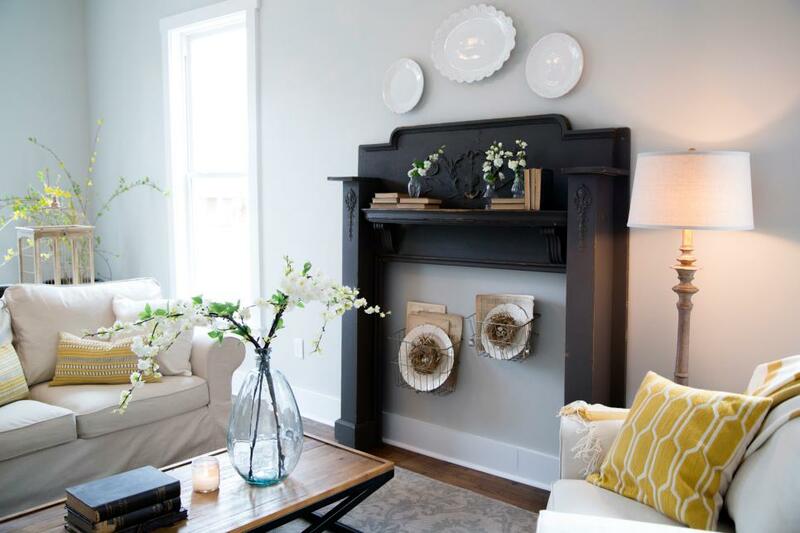 As soon as the photos of their very first house renovation were published, HGTV expressed their interest and offered them a TV show. They didn’t miss the opportunity and today, Joanna and Chip have renovated over 100 houses. 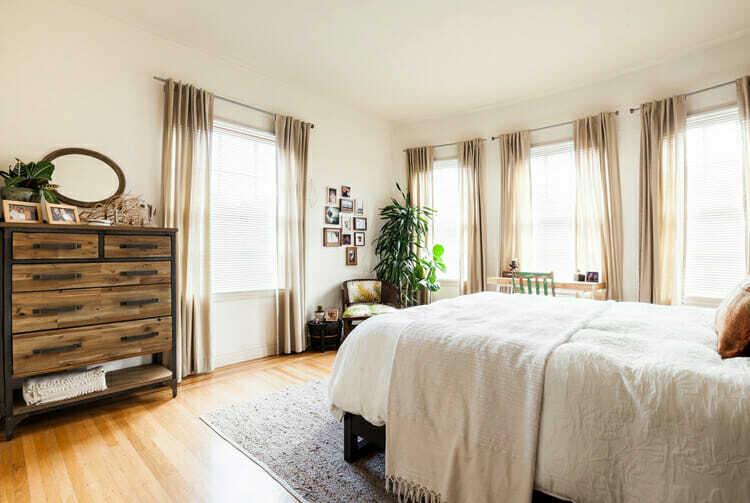 Joanna Gaines’ style can be described as updated rustic enriched with details and accents of different styles determined by the preferences of home owners. We see her very often combining rustic with industrial or farmhouse with vintage. 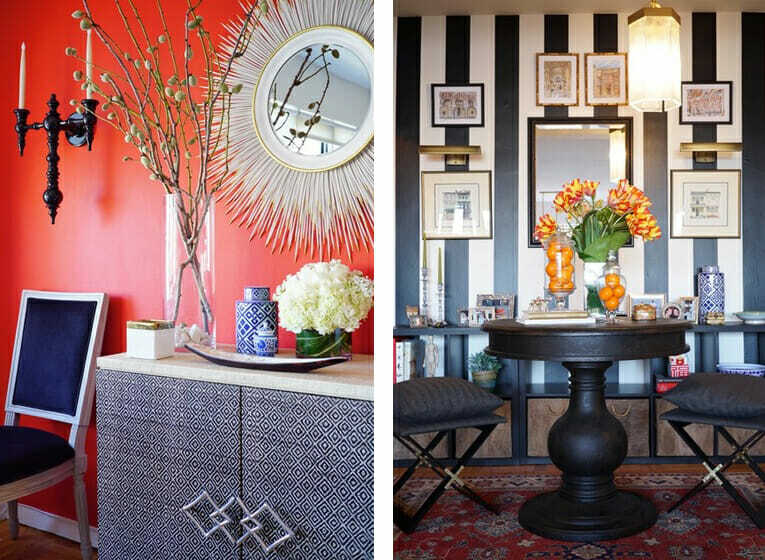 Of course, modern or even glam accents aren’t missing from her designs too. Joanna’s signature design elements include large dimensional art pieces, vintage maps, mirrors, cozy fireplaces, and comfortable furniture. 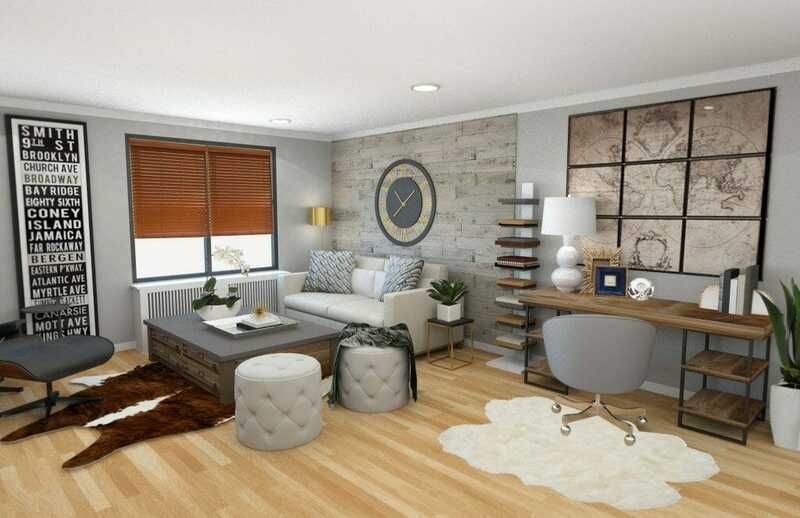 Design by Decorilla Designer, Amelia R.
Textured walls and accents walls are a big feature in Joanna’s projects. 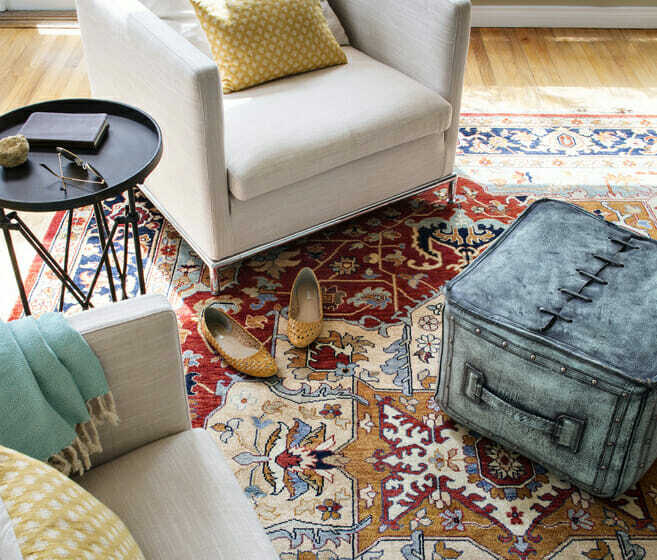 Along with durable and elegant rugs, she often includes industrial details like pipe shelving and vintage plumping. Design by Decorilla Designer, Corine M.
Vintage decorative items have a place in Joanna’s spaces. And, she has a thing for doors; antique, barn, or decorative doors are a lovely way to introduce design interest in a functional piece. Wanting to transform your house to one of those Fixer Upper homes? It’s easy when working with professional interior designers with style like Joanna Gaines. Corine works to translate her clients’ needs into the physical world. 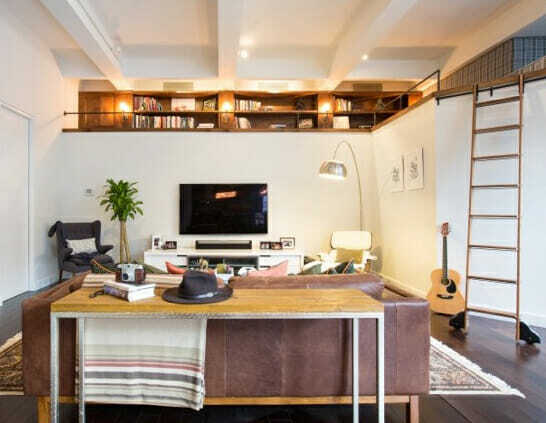 Her go-to style is refined simplicity through spaces that offer a balance of playfulness and sophistication. She uses bold and rich colors to create stunning accent walls that will highlight dimensional art pieces and vintage /antiqued items. 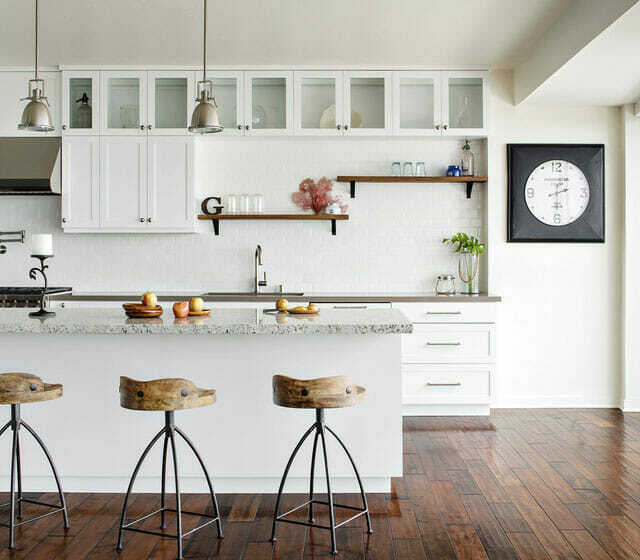 Corine also includes in her designs the industrial details that Joanna Gaines loves to use, like the floating shelves and the vintage-like stools in this white kitchen. 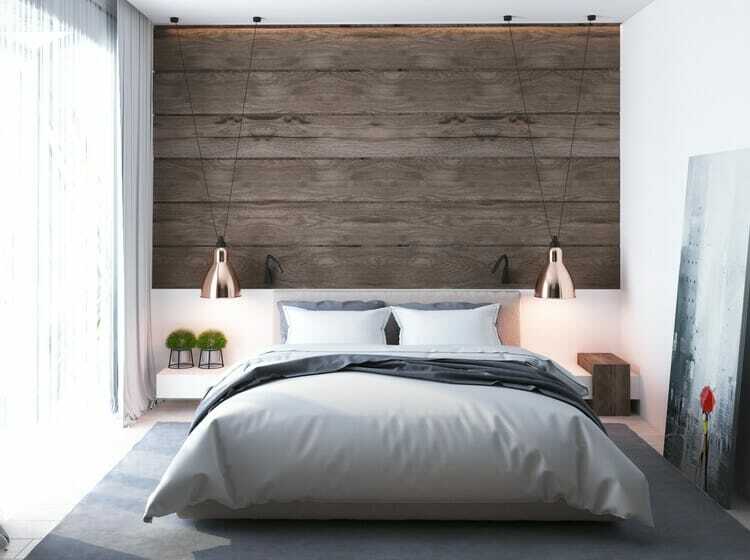 Finally, she never forgets to create layers of colors, materials and textures and add a comfy but yet stylish feel into the rooms that she designs. Angela loves spaces that are casual, comfortable, and inviting with a neutral color scheme and tons of natural materials. She enjoys creating a look through layers of texture while keeping a simple and clean balance. Layering neutrals and combining different textures and materials with comfortable furniture is clearly one of her strong design skills. 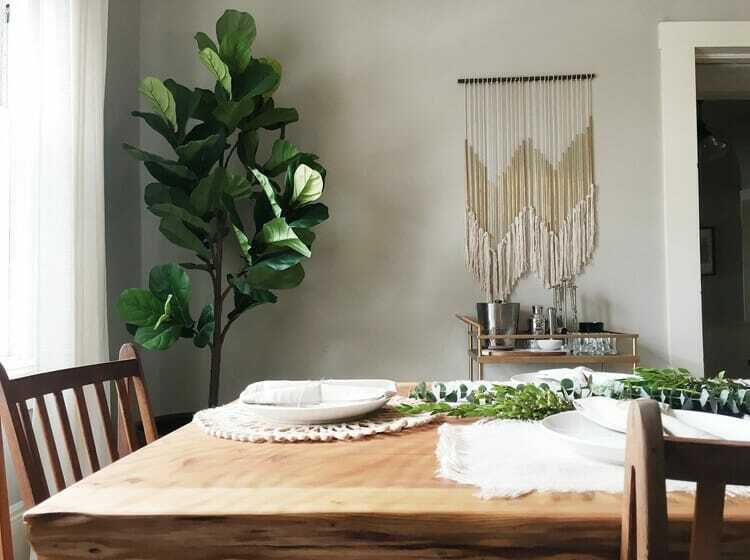 Angela loves including plants, flowers, branches and leafs in her designs like Joanna Gaines. Oversized mirrors with a vintage look or not, beautiful rugs and quote art, complete Angela’s beautiful designs. 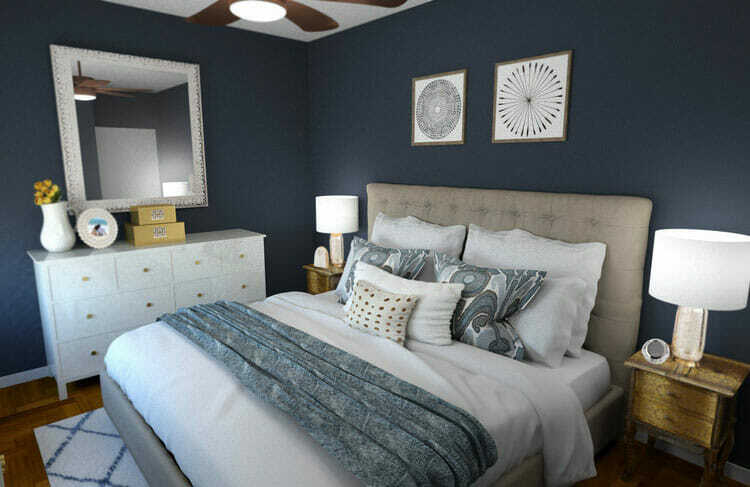 Design by Decorilla Designer, Kate S.
Kate creates special atmospheres where people will feel comfort and coziness. It is important for her to take into account the character, hobbies and lifestyles of her clients. She love designing; the opportunity to embody her client’s dreams into reality. 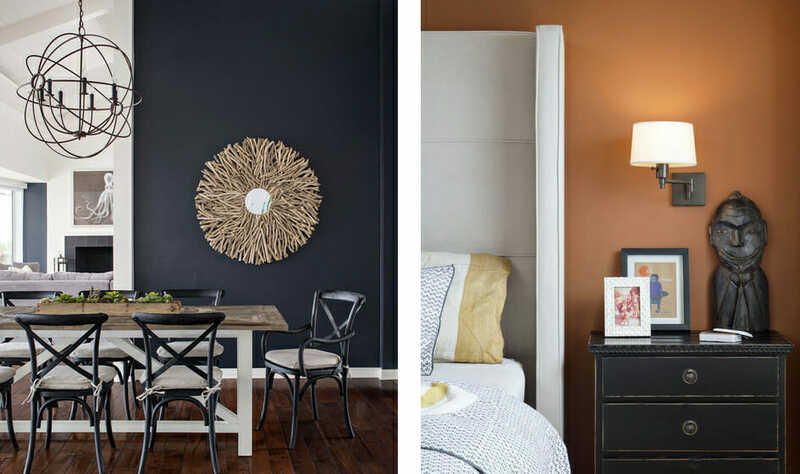 Kate cannot hide her obvious love for accent walls with texture. 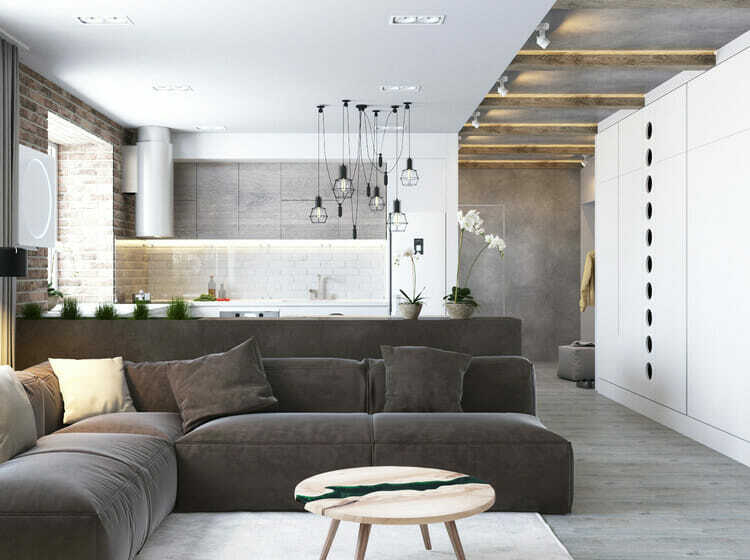 From barn wood to brick, from concrete surfaces to subway tiles, everything can be combined to create an emphasis in neutral & monochrome spaces. Of course we need to mention the way Kate incorporates the industrial styles through lighting fixtures, sharp textures and industrial furniture. 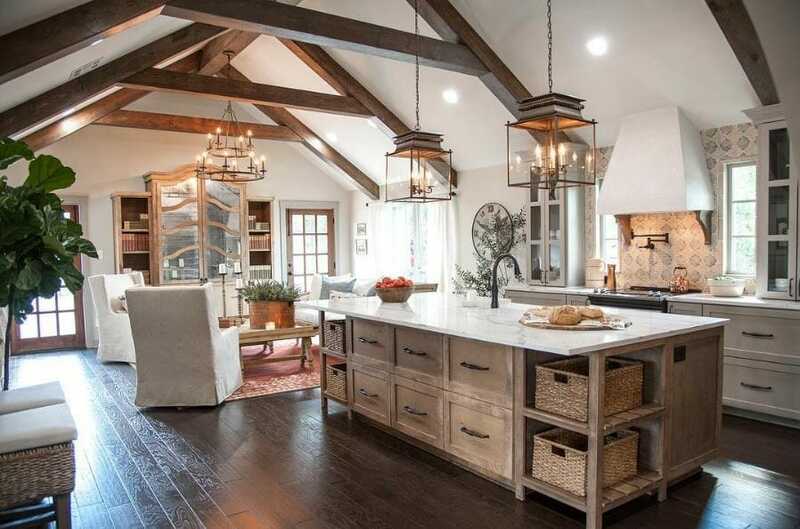 The use of wooden beams also reminds us of Joanna Gaines who has uses them several times in her remodeling projects. Drawing from her global travel, Christine creates designs that fuse different styles of decor with warmth, comfort, and beauty in mind. 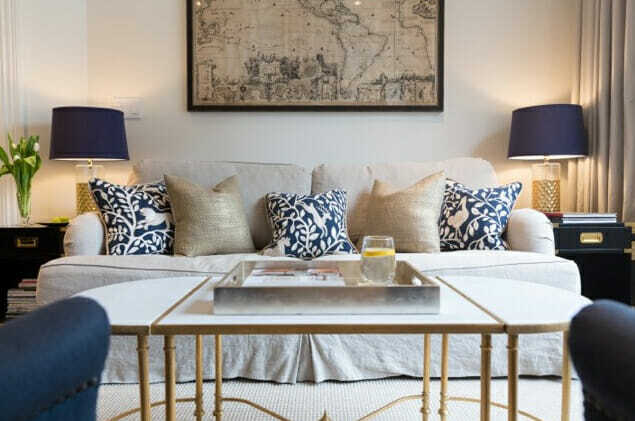 She loves mixing textiles, patterns and textures in a space; these offer depth and interest. Design by Decorilla Designer, Christine M.
Her designs always include unique items and personal finds. This way each space feels cozy and familiar.vChristine also appreciates old vintage items that can be repurposed or used as decor into a room, creating a blend of styles and different eras. She never forgets including plants and flowers in her designs and obviously she cannot resist beautiful fabrics and layers of textures and materials. Peti expresses her worldly inspirations with eclectic colors, patterns and textures to create romance and moods in all of her spaces. She loves and lives for design because it’s not only about looking good. It’s about how spaces subconsciously creep in and something may function in a way that was planned and you many not even realize it. A space that tells a story is made possible by a simple ensemble of a dialogue of histories. Decorilla designer, Peti, does just that with her eclectic mix of aged textiles, antiqued woods, and heirloom accents. Peti L. shares a style like Joanna Gaines in her choice of rugs. She never forgets to highlight the walls with stunning art pieces gallery walls and extra large wall art and maps. Amelia describes herself as “loving and living for art,” and believes that art and design is the only way to truly express individuality to the world. 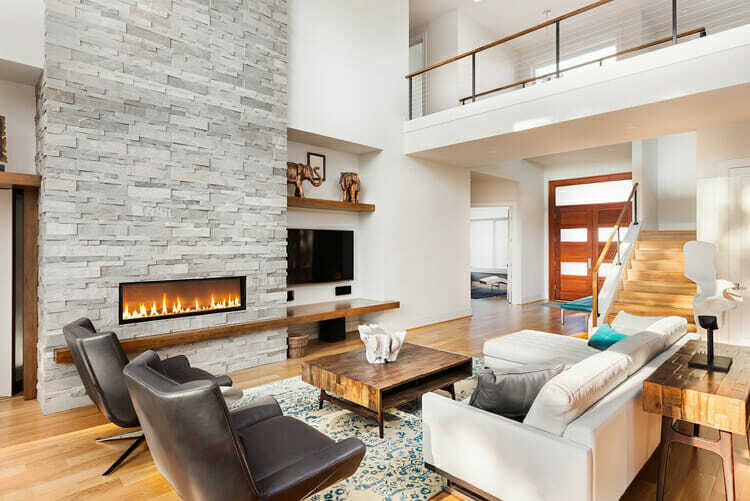 With an architectural background, she always pays attention to the details of a space while she doesn’t miss any opportunity to highlight the structural elements of a room. Amelia considers a feature accent wall as the one must-have item that she always makes sure to include in her interior designs much like Joanna does. If you want to learn how to decorate like Joanna Gaines Daily Dose of Design and HGTV have some handy tips as well! 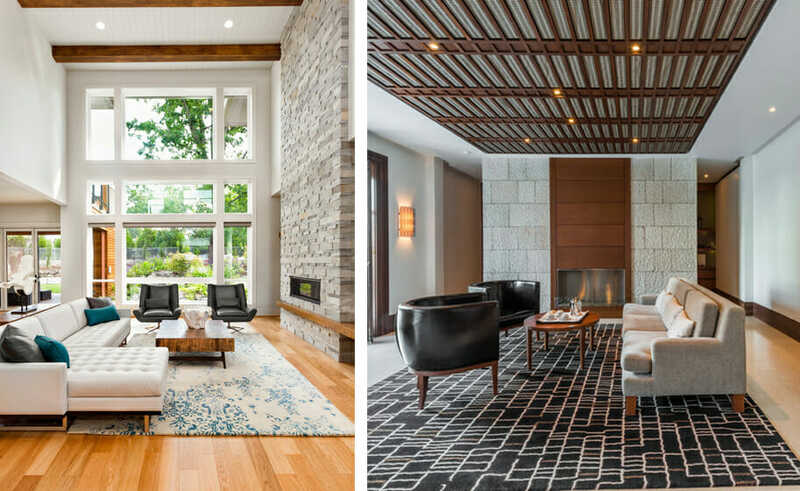 Design by Decorilla Designer, Rachel H.
Rachel’s passion to transform a room with light and textures is evident in the spaces she designs, making every room classical and functional. She thinks that creating a space to entertain is made possible by dining accommodations. 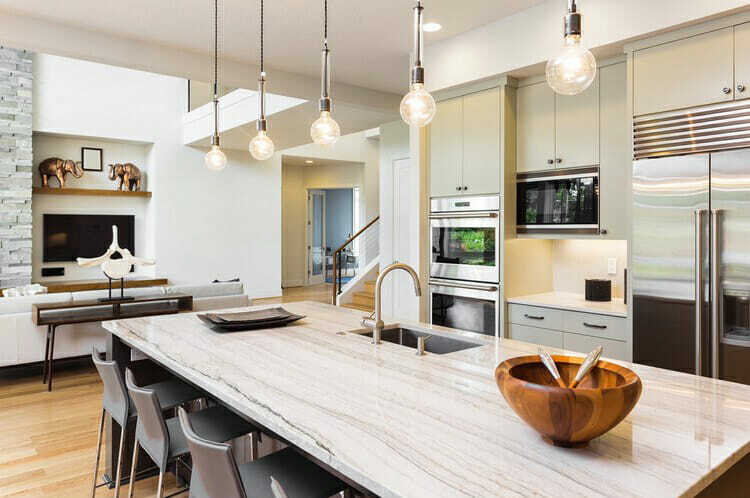 As a hallmark of southern comfort, kitchen islands are a great way to connect guests with homeowners. Rachel likes to work with different wall decorations that sometimes are used to highlight textured walls. Maps, quote art, oversized paintings and clocks never miss from her designs a feature ever present in Joanna Gaines’ style. 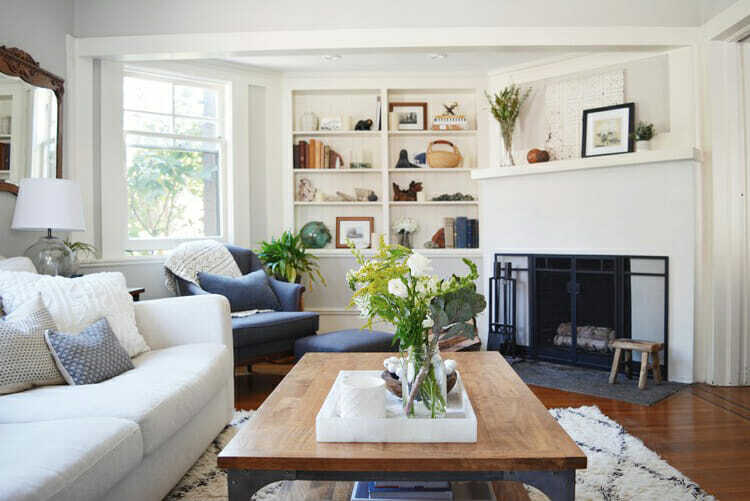 With so many wonderful interior designers decorating and renovating in Joanna Gaines style, it is no wonder that this comfy and inviting look is hitting its stride. 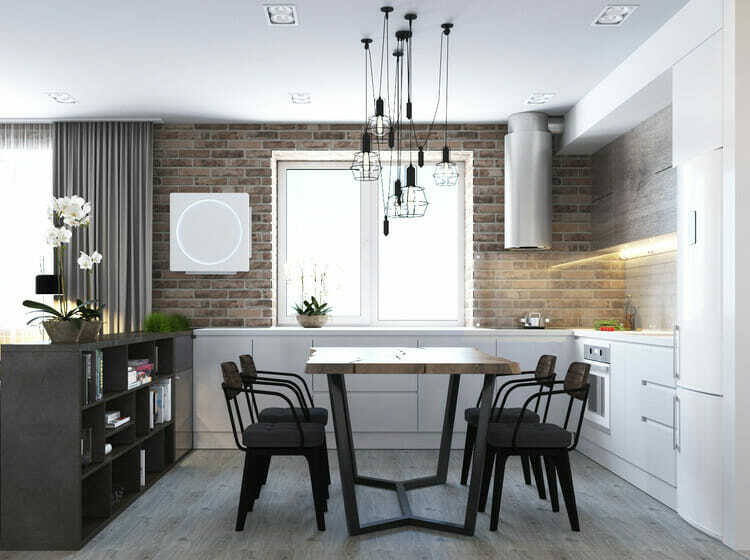 Still wondering if getting professional interior design help is right for you? 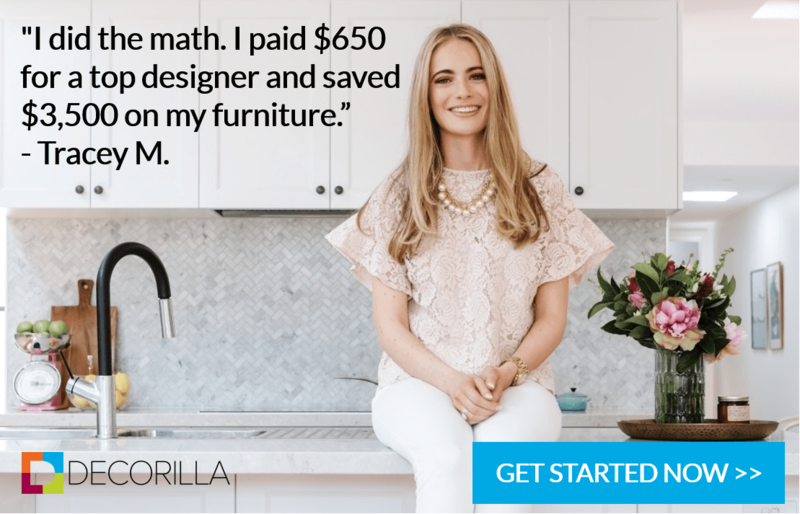 Schedule a FREE consultation with Decorilla to see which options are right for you and to ensure you get the best results possible.